Tsushima, Aichi is usually a very quiet and rather unassuming city just outside Nagoya – a city where people go about their daily lives with the peace and quiet only small towns can provide. 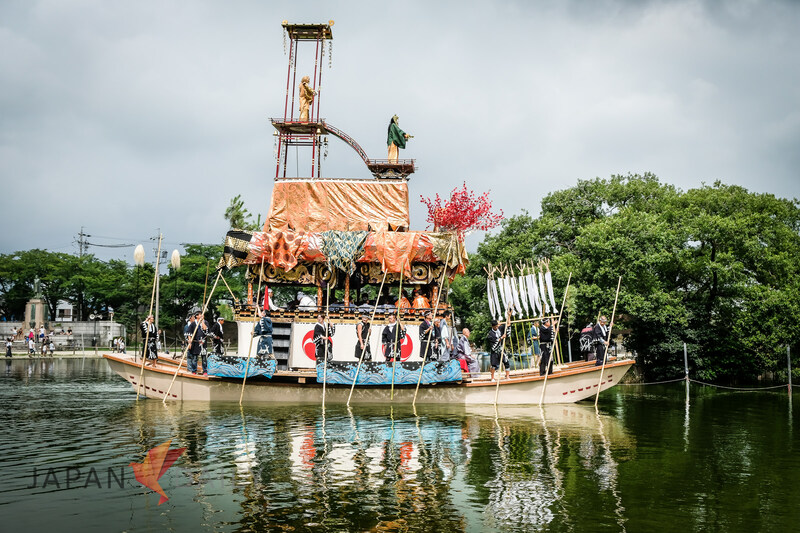 Two times a year, however, the city is packed to the rafters with festival-goers from near and far. 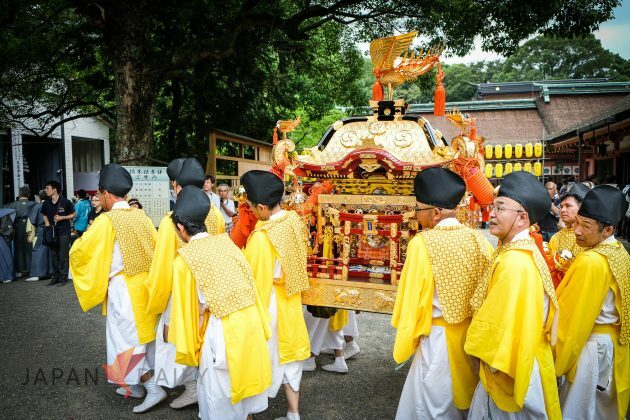 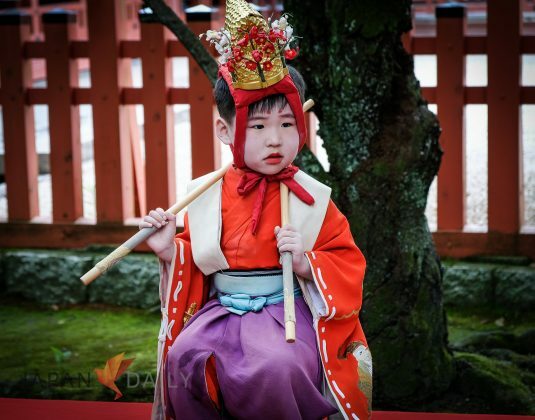 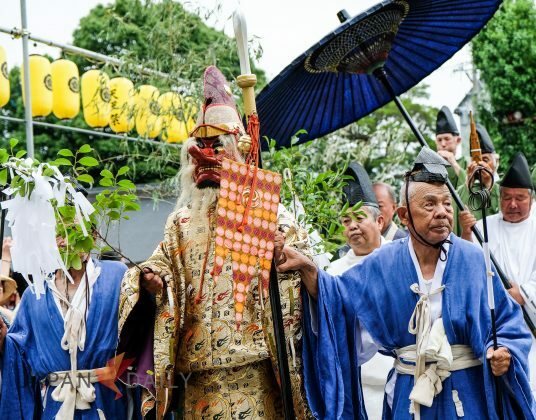 One such occasion is the annual Tenno Matsuri, which was recently included in the UNESCO intangible cultural assets for Japan. Enjoying a long 500 year history, this was actually Oda Nobunaga’s favourite festival. 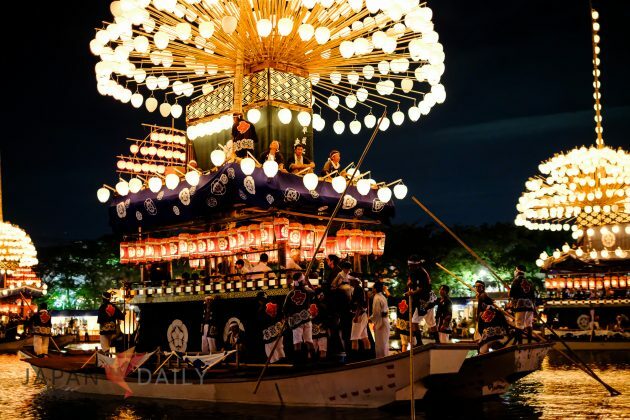 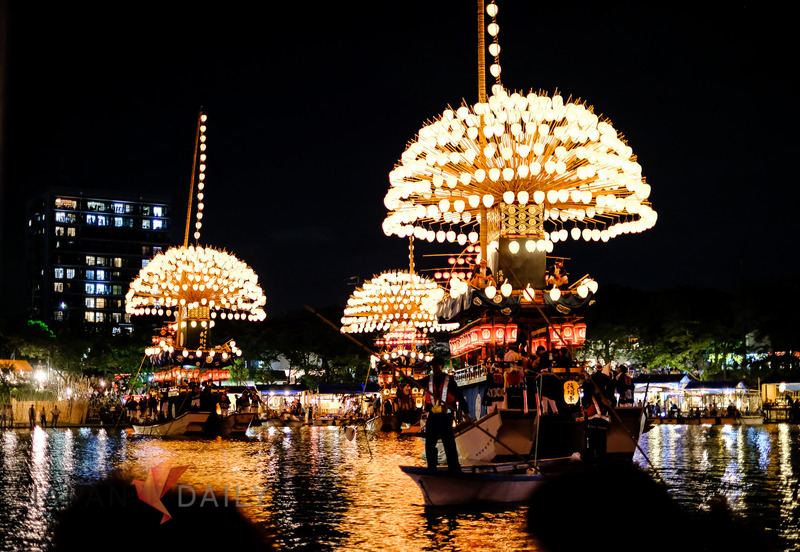 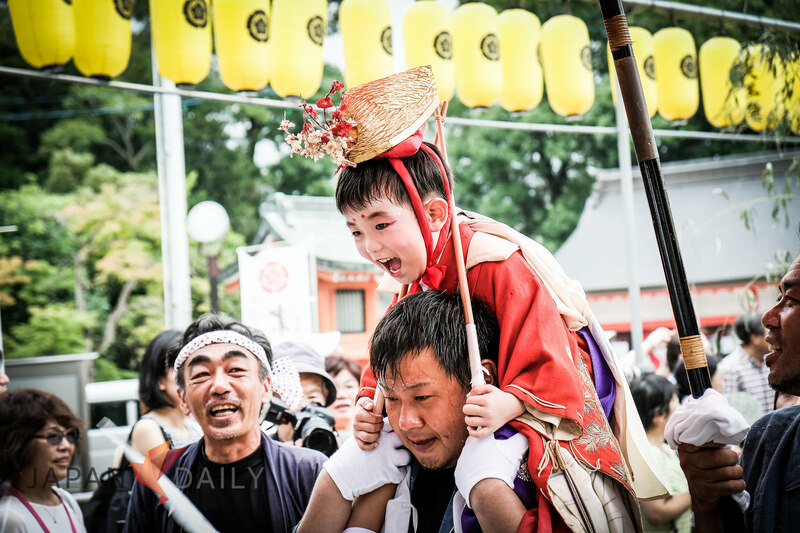 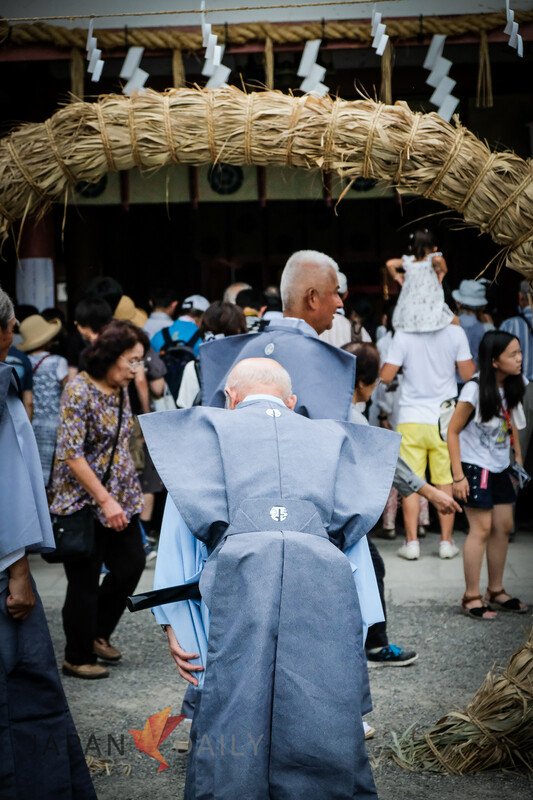 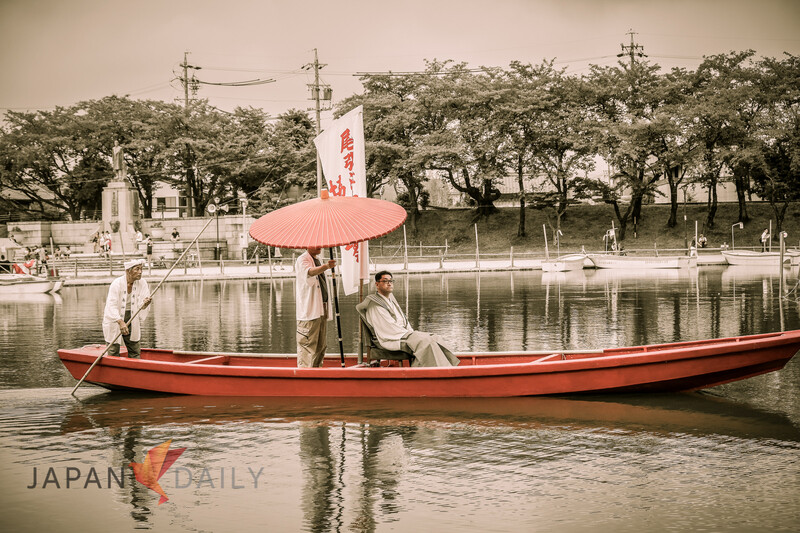 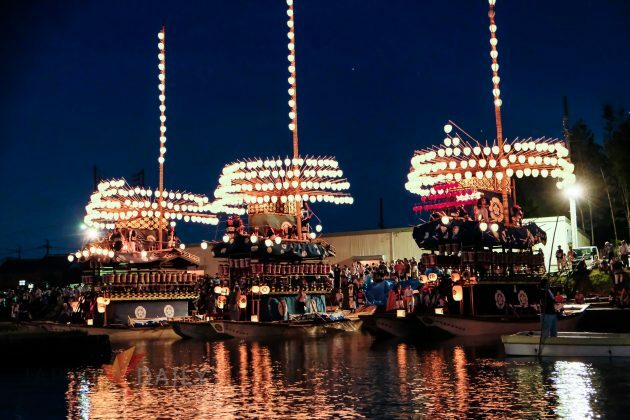 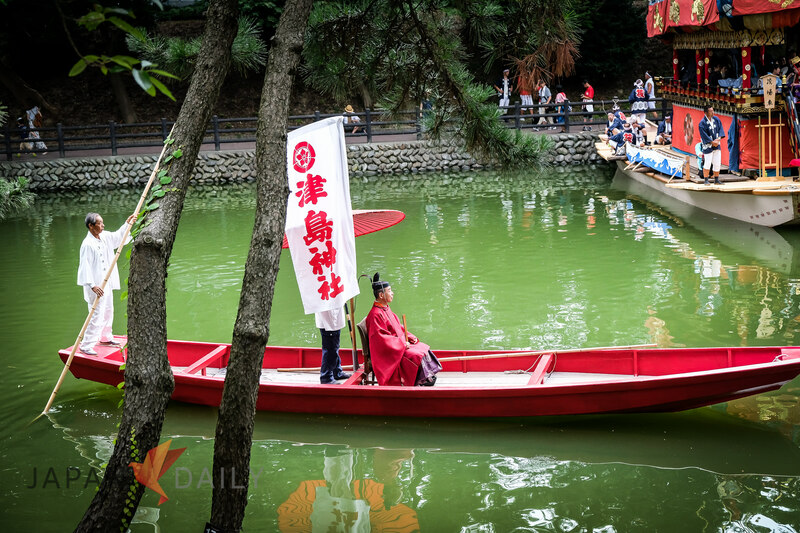 The Tenno Matsuri is one of Japan’s three major river festivals, and one of the biggest, most spectacular and beautiful of all summer festivals. 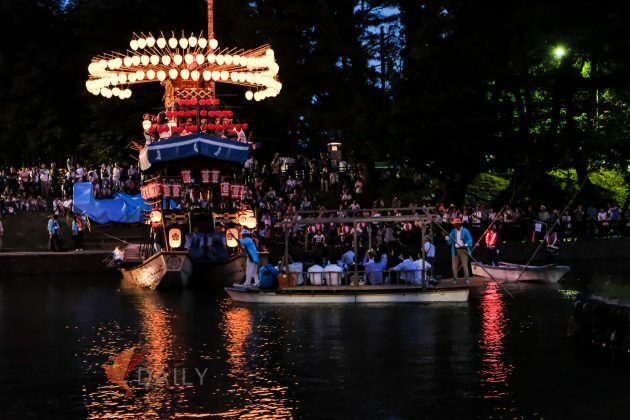 Held along Tsushima’s Tenno River, the Owari Tsushima Tenno Matsuri is a two day event starting with the evening portion, and culminating with the return of a Shinto god’s essence to Tsushima Shrine the next day in an elaborate daytime festival also starting on the river and ending at said shrine, after a long parade through the city. 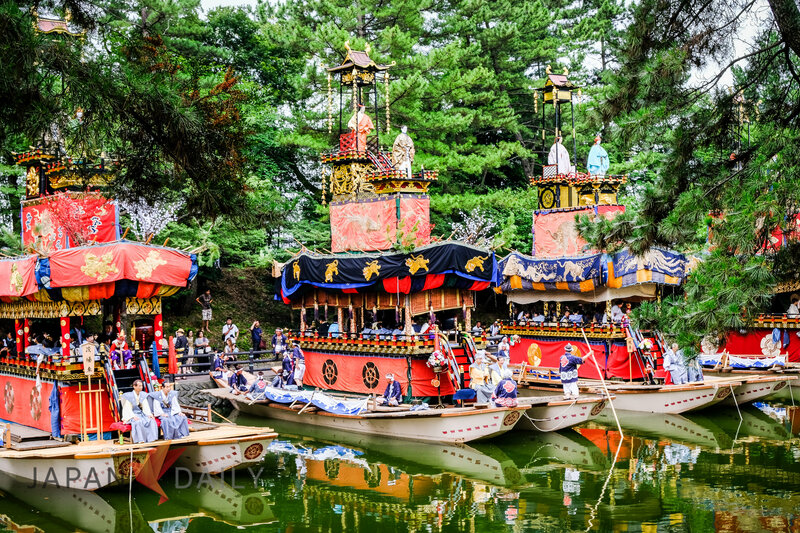 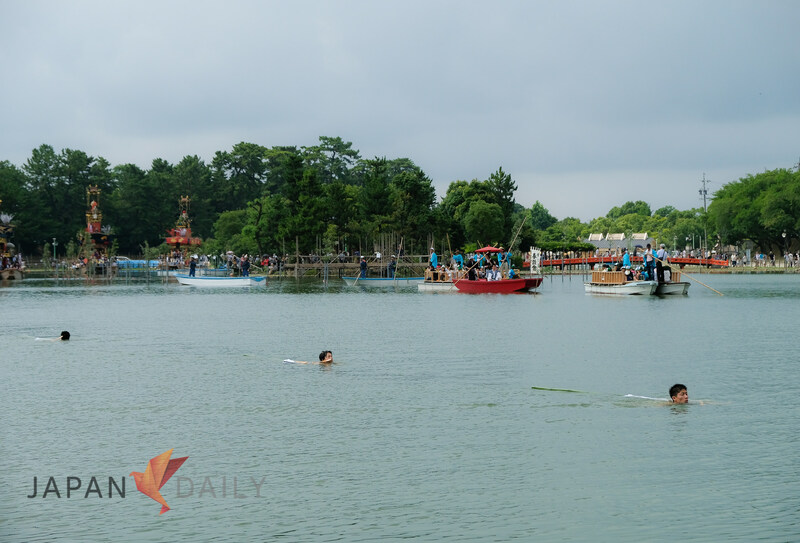 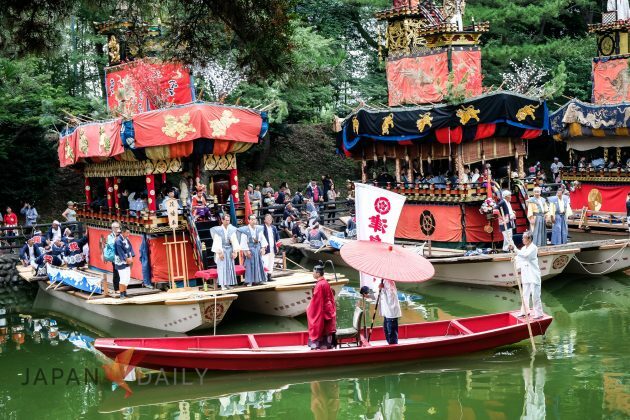 The same boats from the night event are redecorated with beautiful hand-woven tapestries and feature mannequins dressed in Noh costumes on top of the boats. 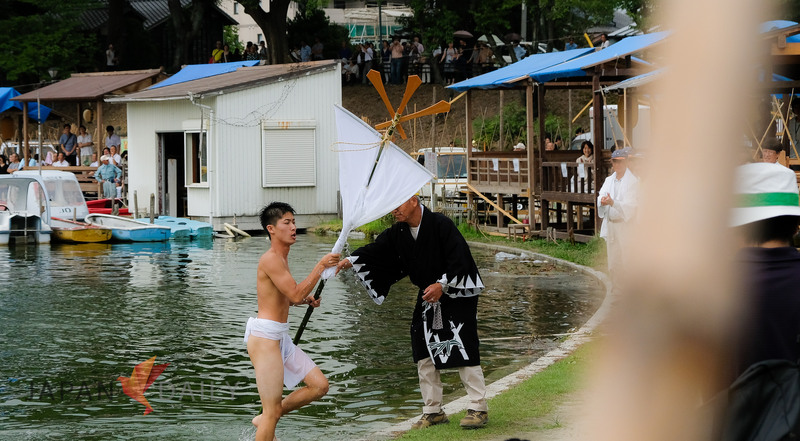 Ten men armed with halberd-like samurai weapons take part in a ritual, in which they dive off the boat with the halberd, and swim to shore, followed by a run through the city, to present the broad-bladed pole-arm to the gods of the Tsushima Shrine. 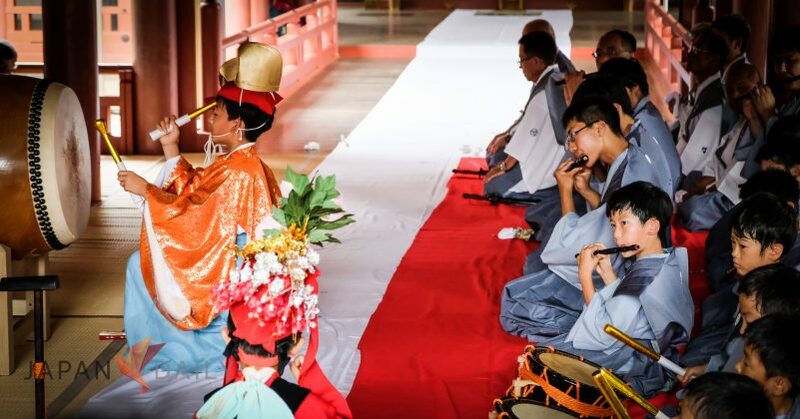 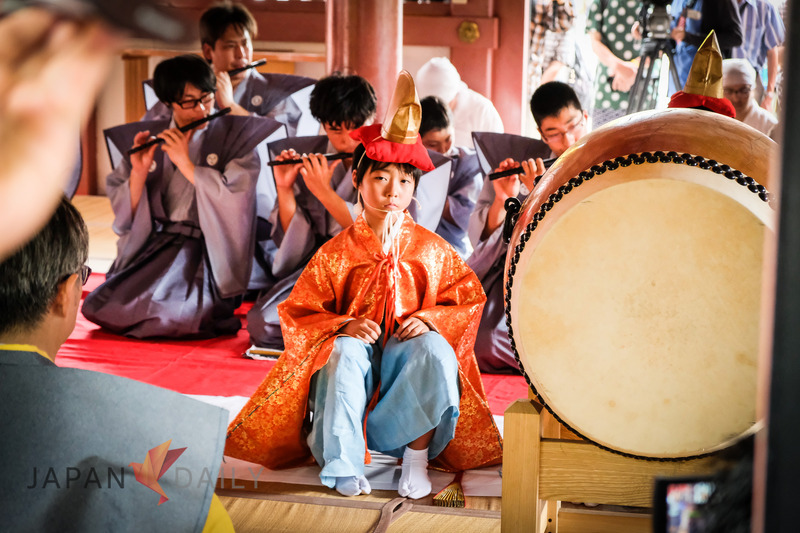 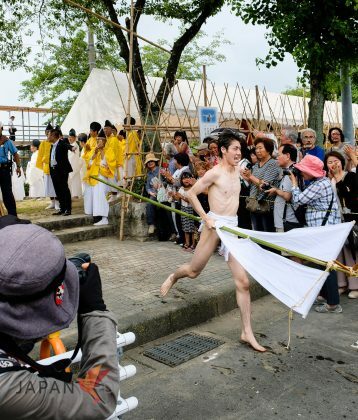 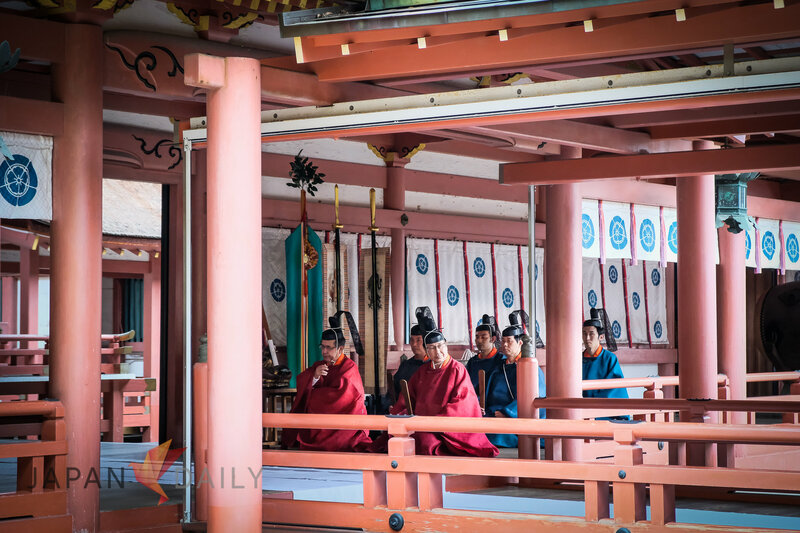 The event was designated a National Important Intangible Folk Cultural Asset and was recently added to an extensive list of such events in Japan. It is one of 33 Japanese festivals added as joint entry “Yama, Hoko, Yatai, Float Festivals in Japan” to this representative list of Intangible Cultural Heritage for Humanity for UNESCO on November 30th, 2016. 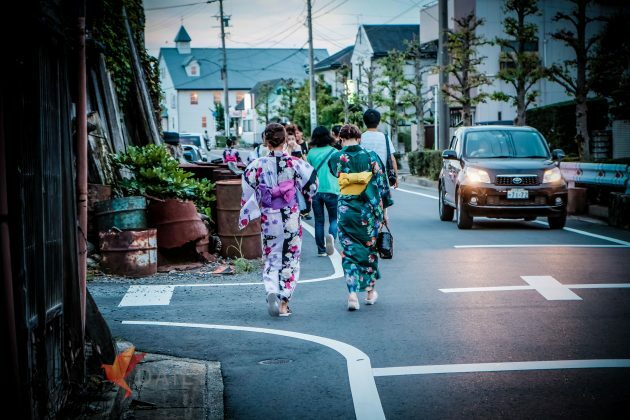 Tsushima is also famous for its Autumn, and Wisteria Festivals, with equally long histories and traditions. But it is the fourth Saturday of July, the night of the “Yoimatsuri”, Night Festival, and the celebrations that continue the next day with the “Asamatsuri”, or Morning Festival, that really draw the crowds to this quiet and unassuming city. 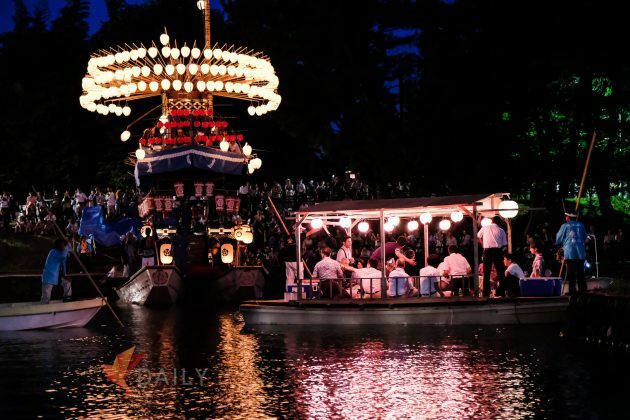 This year’s festivities are over and done with now, but if you’re in the area next year, start planning ahead, because this beautiful event should not be missed. 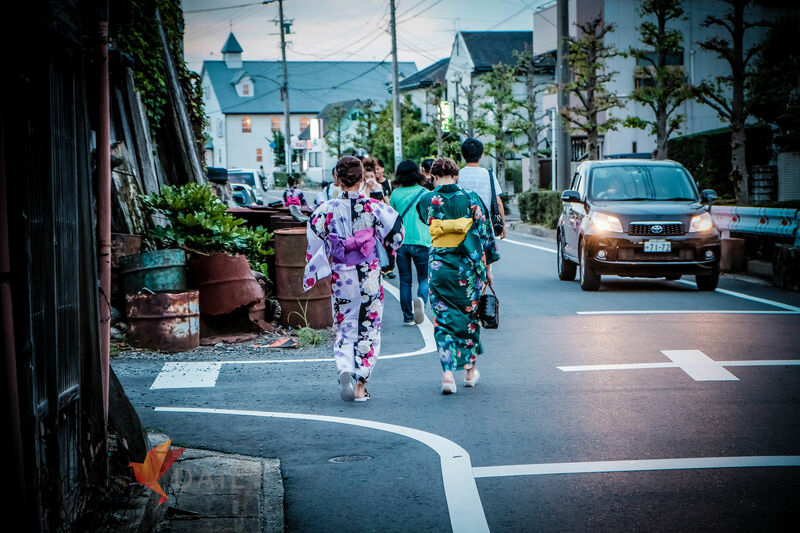 As always, thanks for reading/watching and see you next time!